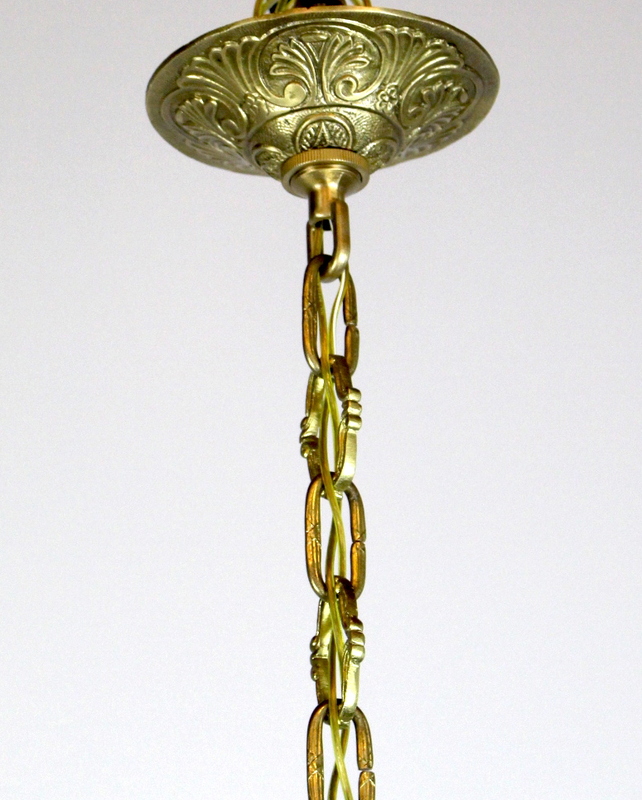 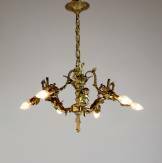 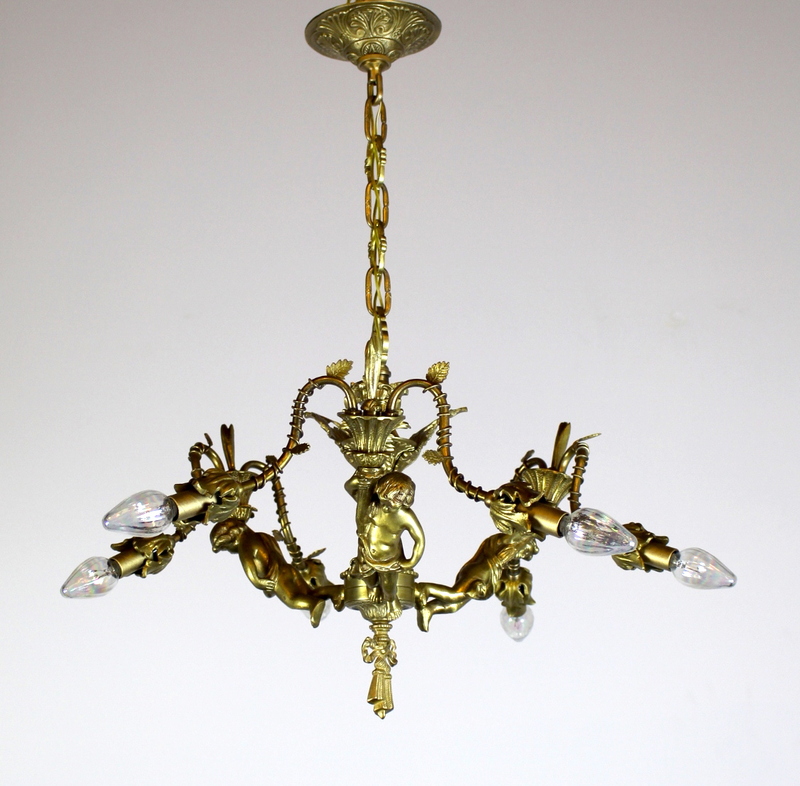 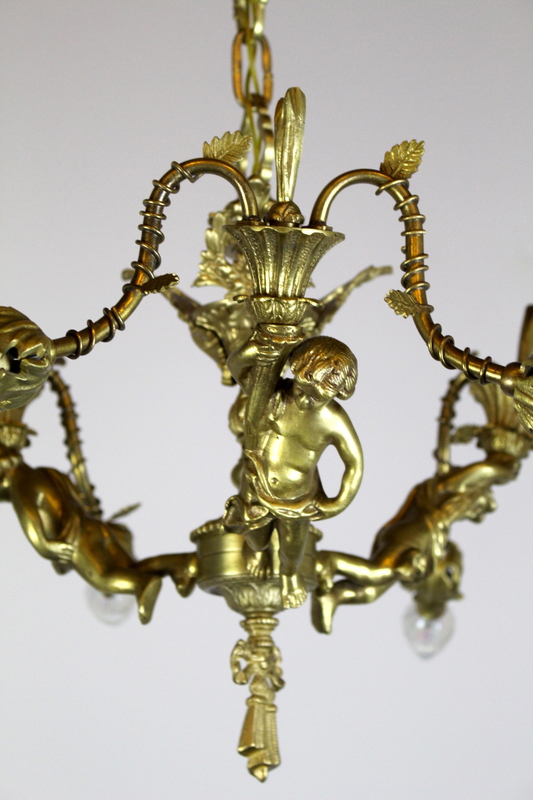 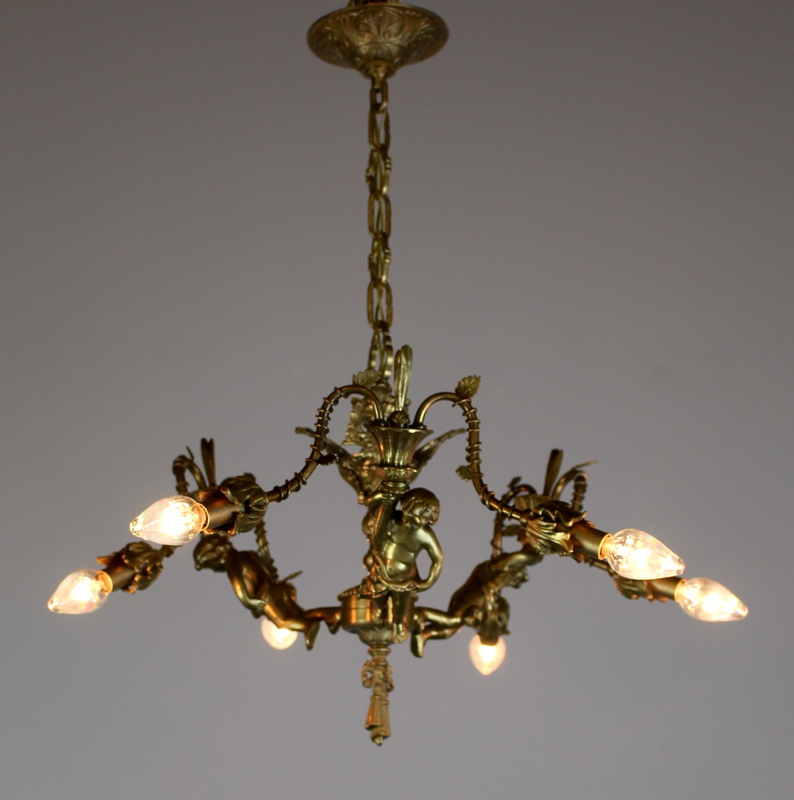 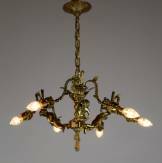 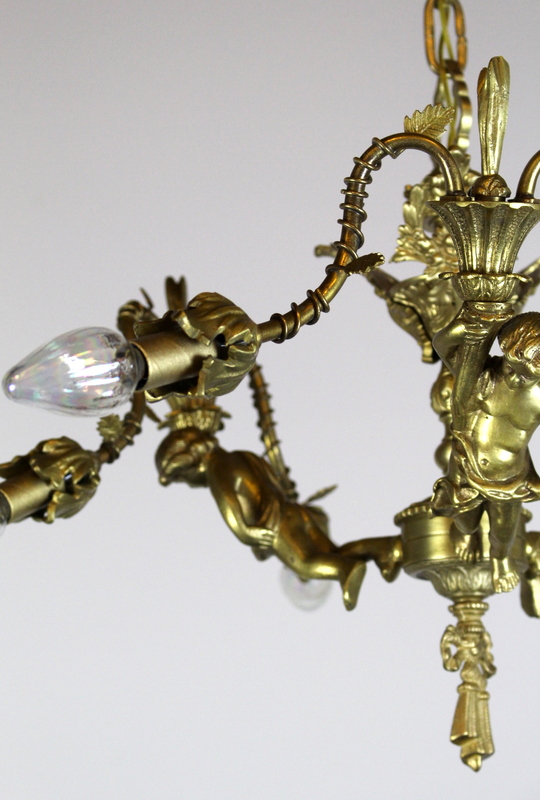 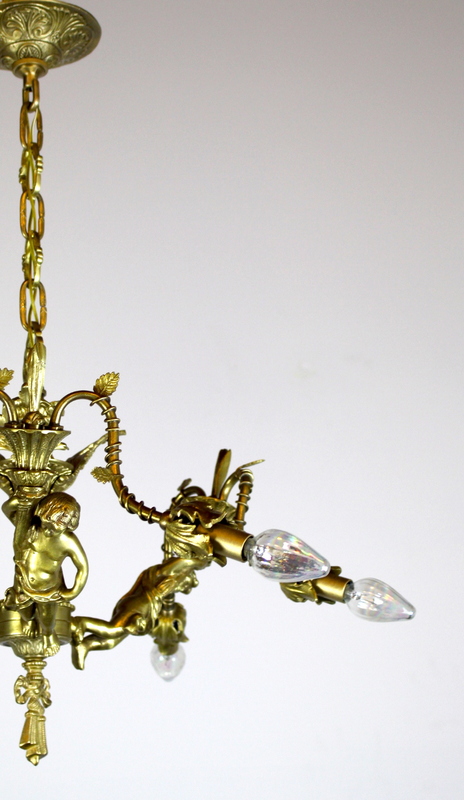 Delightful Mid 30’s fixture finished in an antique gold colour with 6 lights on 3 Arms. 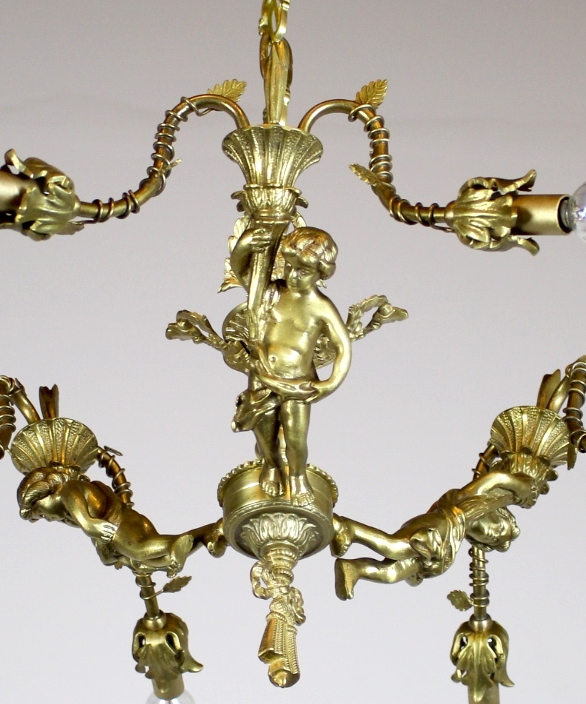 Very decorative, with cherubs holding each lit arm, surrounded by filigree and leaves. 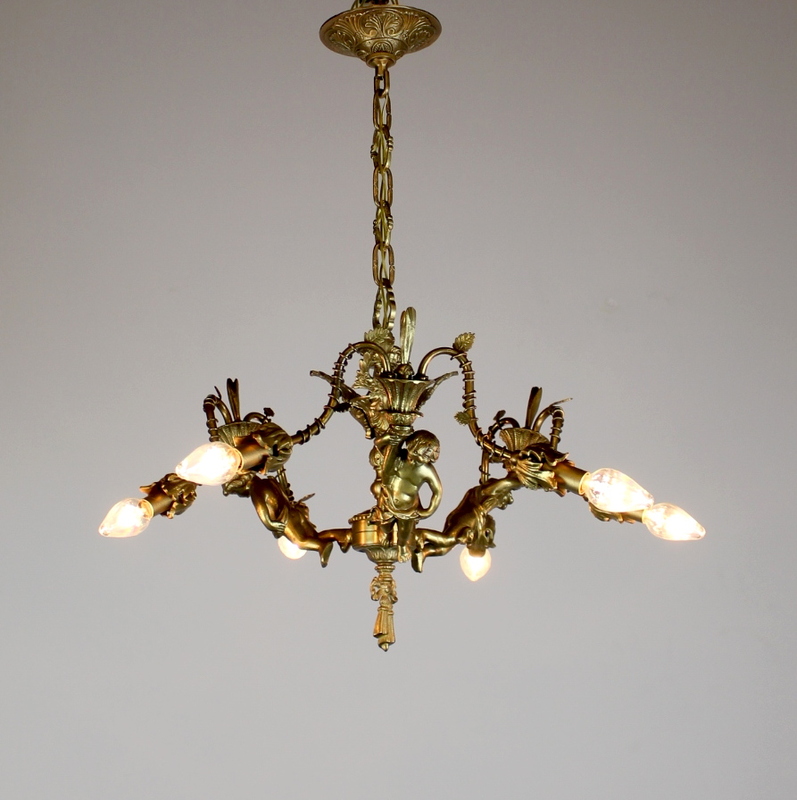 Fully cleaned, restored, rewired and ready to hang.